Spontaneity covers the basics of improvisation (improv). You'll work on unleashing your creativity and unlocking your spontaneity through impro games and exercises based on play, collaboration and support. This course is designed to encourage fearlessness, to help you break out of your comfort zone and have fun! 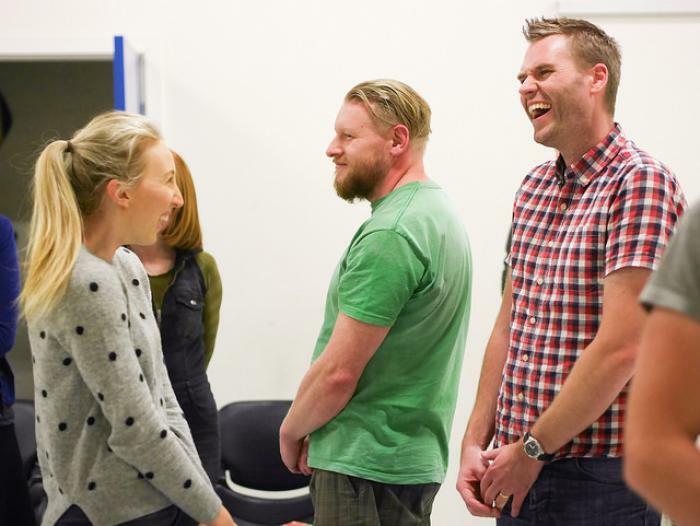 Spontaneity is the first course of the Impro Melbourne workshop program and requires no prior improvisation or performance experience. We value diversity and extend a warm welcome to people of different ethnicities, religions, sexualities, genders, abilities, ages and backgrounds. If you are unsure if improvisation is for you, please have a conversation with us so we can work together to create an environment for you to try.